Quality Suites Airport Bangkok is situated 2 kms south of Bangkok International and domestic airport, 20 minutes by the express way to the heart of Bangkok. With its view of lush tropical gardens, 80 well appointed suites with separate living room, offer spacey comfortable soundproof accommodation close to the airport. 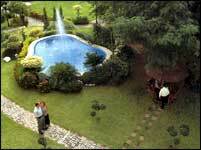 - Complimentary Child under 12 year occupying in the same room with parents up to 3 persons. - All above package rates are subject to 10% service charge and VAT. - Extra beds included ABF will be charged at Baht 800.- net per bed per night. - This offered cannot be combined with other promotion deals. - Credit card guarantee is required upon reservation. - Guest pay by cash or credit card. - Round trip Airport transfer 24 hours. - 50% discount on Meals for child between 4-12 years old. - American Buffet Breakfast is inclusive in the above room rates. However, it does not include room service. - Cancellation or changes in the confirmed reservation by 3 working days of arrival date (Not including Sat, Sun & Public Holidays) will impose a one night cancellation charge. - Junior Suites (One bedroom with separate living room) : 56 sq.m. - Superior Suites (One bedroom with separate living room) : 72 sq.m. 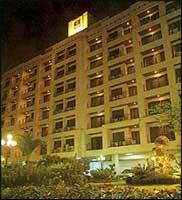 - Deluxe Suites (Two bedroom with separate living room) : 76 sq.m.